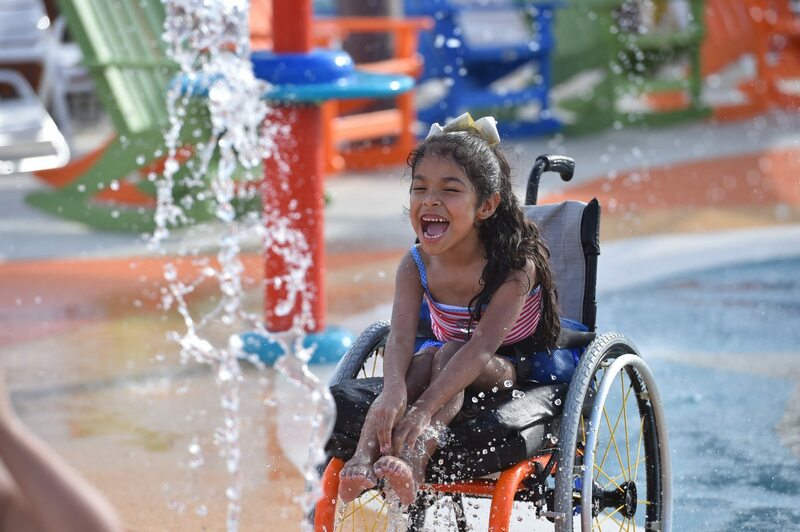 A water park dreamed up by a father and his daughter, who lives with a disability, is about to become a reality. Morgan’s Inspiration Island opens June 17 in San Antonio, Texas. And It’s going to change the lives of many families. 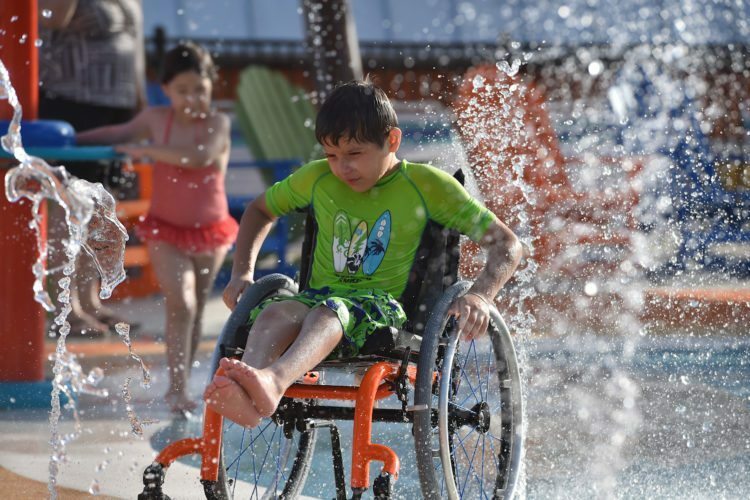 Water parks usually don’t address special accessibility needs for children. But, Morgan’s Inspiration Island plans to change that. 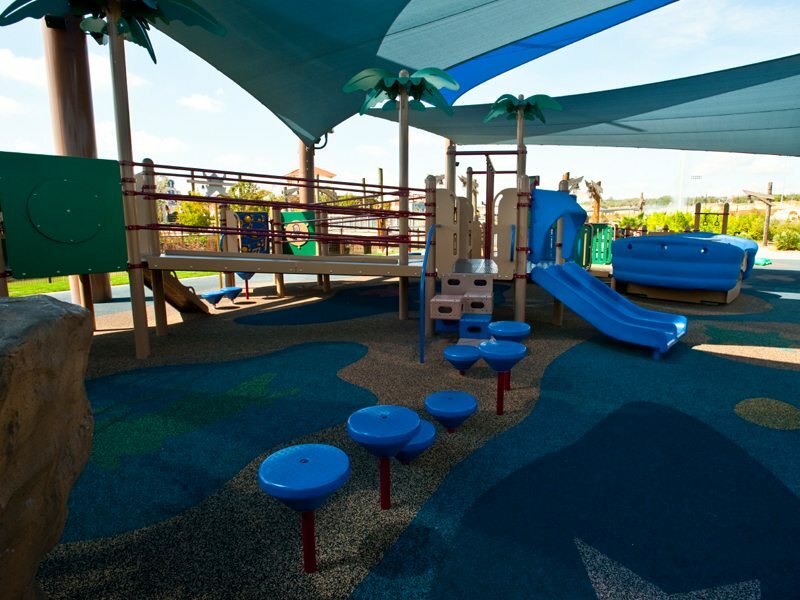 It’s fully wheelchair accessible and offers many design features for people with all different kinds of disabilities. For example, there are wheelchair rental services that offer wheelchairs powered by compressed air instead of batteries. 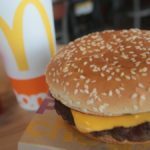 When you use one of these (for free!) for the day, you won’t ruin the expensive battery-powered wheelchair of your own, according to Mashable. Designated quiet areas create safe spaces for those who feel overwhelmed in large crowds. And the park limits attendance with a cap to prevent overcrowding. They’ve really thought of everything because they are hoping this park will be as inclusive as possible. “Our goal is to provide a great guest experience in an inclusive, safe, comfortable, not-overly-crowded environment,” park founder Gordon Hartman told Mashable. This is the second of two inclusive theme parks the created by the Hartman family. 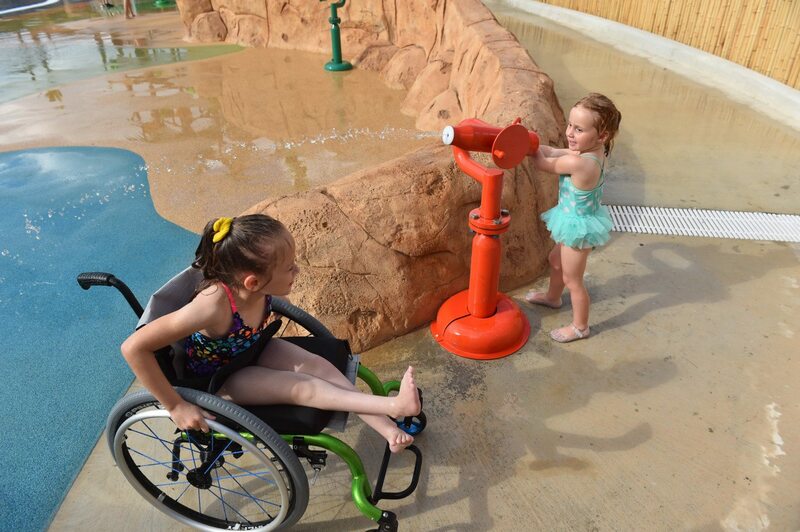 The other, Morgan’s Wonderland, offers accessible playgrounds, carousels and more. Besides the inclusion aspect, the parks have the name “Morgan” in common. That’s because Hartman’s 23-year-old daughter inspired both locations. 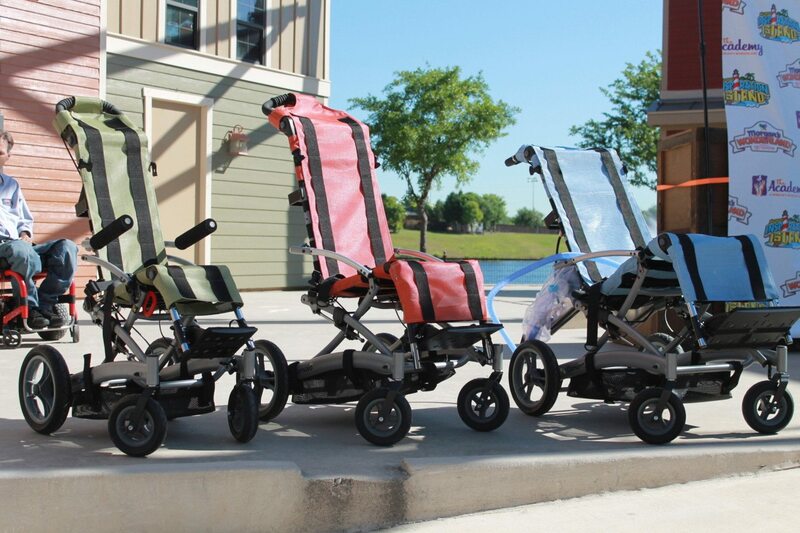 “We decided to call it Morgan’s Inspiration Island because Morgan truly has been the catalyst for every project we’ve pursued to help the special-needs community,” Hartman said in a press release. A spokesperson for the park told Time in an email, “Those with physical or cognitive challenges can do just as much as everyone else.” And this park will prove it to you! The water park will be open from 11 a.m. to 3 p.m. on June 17 for those with Morgan’s Wonderland memberships. Then, Morgan’s Inspiration Island will be open daily until mid-August. The park remains open on weekends from late August and into September. Book tickets online in advance at the Morgan’s Wonderland website. Buying in advance ensures you don’t show up to the park to find it closed due to capacity crowds!